Patented micro-spiral grooves to remove lice and eggs. 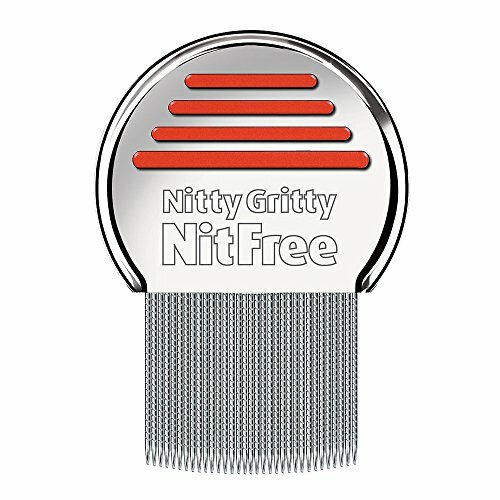 Please be aware if it doesn't have 'Nitty Gritty NitFree' ENGRAVED on the handle of the comb, it is NOT A GENUINE NITTY GRITTY COMB. 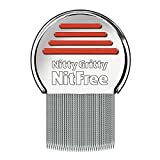 Quick, easy to use and chemical-free, the revolutionary Nitty Gritty NitFree comb is the most effective way to remove and destroy lice, eggs (unhatched lice) and nits (empty, hatched egg shells). The NitFree comb removes and destroys 100% of all lice and eggs with its patented microgrooved steel teeth. These special teeth run through any kind of hair smoothly and safely to avoid cutting or pulling the hair, and the teeth's rounded ends penetrate all the way to the scalp to remove even the tiniest nit quickly and easily, without scratching or hurting. It's a durable and user-friendly product, with no sharp edges, no batteries to replace, and no extra parts or attachments to lose. One comb will serve all the family and its tempered stainless steel construction makes it easy to clean and maintain. The materials used are the best available, and it's guaranteed for life. It also features a comfortable non slip handle making it easy to use in the bath or shower.